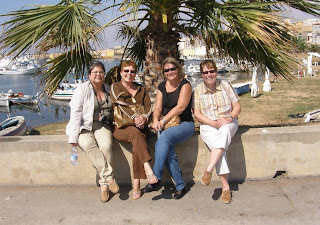 Hi there... We just returned from Sicily and had a fab time. Next time you are in Ragusa, just down the road from Scicli, on Donnalucata beach, have dinner at Mezzaparola Restaurant on the via Martiri d'Ungheria. They serve beautifully prepared fish and seafood dishes (the fabulous selection on the mixed starter plate is a meal in itself), and the owner is delightful. (I also got hooked on the nucatoli and chocolate & chili liqueur at Antica Dolceria Bonojuto on the Corso Umberto in Modica Basso). Mmmmmmmmmmm...makes me hungry all over again! What a great day.